Nov. 10, 2015, 3:45 p.m.
By Madeline Welsh @madelinebwelsh Nov. 10, 2015, 3:45 p.m.
“This is probably the largest communal screening of a virtual reality film ever,” said New York Times Magazine editor Jake Silverstein, as people began to fumble with cardboard visors. True, but it was also only one of several firsts represented at the premiere of the Times’ first virtual reality film, “The Displaced,” last Thursday in Manhattan. 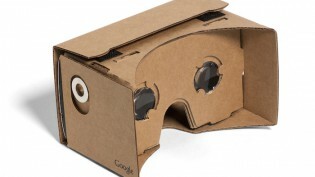 Not only was the Times debuting its first immersive virtual reality experience, but over the weekend of November 8, it delivered more than a million pre-assembled Google Cardboard sets to home delivery subscribers. On Tuesday, the Times said that its VR app was “the most successful NYT app launch ever,” with “more downloads in its first few days (11/5-11/8) than any other Times app has had at launch,” though it didn’t provide actual numbers. 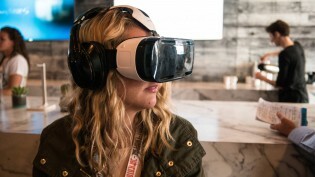 Virtual reality is clearly having a moment. News outlets like Frontline, The Wall Street Journal, and the AP are all experimenting with how to fit VR into their storytelling. It was only natural, said Silverstein, who was appointed editor of the magazine in 2014, that the Times also start looking at what it could do. That initial interest led to a proof-of-concept film shot in March 2015 and published in April: “Walking New York,” a cover feature and, later, a 360-degree film about the large-scale urban murals of the French artist JR.
“We started to get the sense that virtual reality would have legs, that our readers and viewers would like it, and that it could become a more consistent part of our report,” said Silverstein. “And [it was something that] advertisers and sponsors would want to be a part of.” “The Displaced” is sponsored by GE and Mini, and viewers who download the app will see sponsored content for those brands. “The Displaced,” directed by Imraan Ismail of VR production studio Vrse and Times video journalist Ben Solomon, is beautiful and heartbreaking. The 10-minute piece follows three children — Oleg from Ukraine, Chuol from South Sudan, and Hana, a Syrian refugee living in a camp in Lebanon — through their respective worlds: their friends, their villages, their lives. You hear their stories while walking alongside them in fields, sitting with them in rubble, and witnessing the frantic scramble to receive food dropped from aid planes. That “food drop shot,” as attendees at the premiere were overheard referring to it, seemed to best illustrate the potentials of virtual reality for journalism. In the film, you as the viewer are first alerted to an approaching plane by the sound of a whirring engine. You instinctively look up just as the plane flies overhead and begins dropping giant sacks. A series of thumps accompanies the drop, before you see people all around you running to collect the food. The mechanics behind the shot were intentional. The camera rig, which was created from a series of eight GoPro cameras attached to a pole and modified to shoot wide-angle, sat in the middle of the planned action. Shooting required the pair to duck behind things in order to avoid being seen in the 360-degree shots. “Watching the film now, in almost every shot I know where we are hiding,” Solomon said. So, how did the readers who downloaded the New York Times’ VR app like the film? #NYTVR is remarkable, a great achievement. Found it overwhelming, so many places to look; I took single camera focus for granted. But wow. Finally did the NYT Virtual Reality thing. Overwhelming & very emotional. The #NYTVR app lives up to the hype. It's incredible. Can't even imagine what virtual reality will be like in 5 years. Photo of “The Displaced” premiere on November 5, 2015 by Neilson Barnard/Getty Images for The New York Times. POSTED Nov. 10, 2015, 3:45 p.m.
Welsh, Madeline. "The New York Times hopes its first virtual reality film, “The Displaced,” kicks off mass adoption of VR." Nieman Journalism Lab. Nieman Foundation for Journalism at Harvard, 10 Nov. 2015. Web. 24 Apr. 2019. Welsh, Madeline. "The New York Times hopes its first virtual reality film, “The Displaced,” kicks off mass adoption of VR." Nieman Journalism Lab. Last modified November 10, 2015. 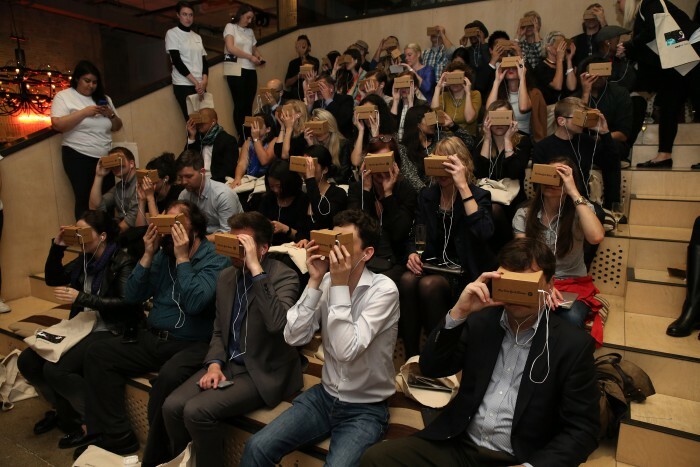 Accessed April 24, 2019. https://www.niemanlab.org/2015/11/the-new-york-times-hopes-its-first-virtual-reality-film-the-displaced-kicks-off-mass-adoption-of-vr/.